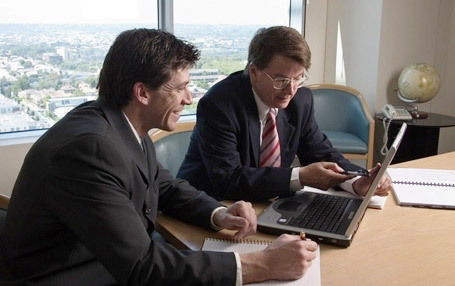 Executive Rights Employment Lawyers was established in 2001 by Bruce Planck, solicitor, to meet the particular needs of Australian executives with respect to their employment law issues. This includes those executives in the expatriate community. Since that time, a large number of executives in Australia and in international locations have benefited from the experience and dedication of the Executive Rights legal team. The firm acts for executives across all industry sectors. 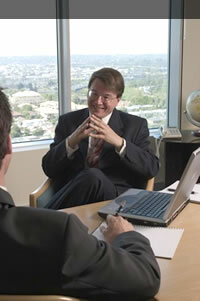 Prior to establishing Executive Rights Employment Lawyers, Bruce Planck had practised as a solicitor in Melbourne, mainly in the area of contractual and commercial disputes. Since 1997, he has practised almost exclusively in the field of employment law, acting principally for executives at middle and senior management level. Executive Rights Employment Lawyers practises exclusively in the area of employment law for executives. The Executive Rights Employment Lawyers team has had extensive experience and consistently achieved successful outcomes for our clients in a wide range of employment law matters. Executive Rights Employment Lawyers adopts a conscientious approach to the proper evaluation of our clients’ causes of action and has a track record of obtaining excellent results for our clients. We aim to keep our clients out of court and to settle matters in a manner which will be more cost-effective, less stressful and less subject to delays. The focus of our practice is on achieving maximum results while preserving our clients’ resumes and careers. Executive Rights Employment Lawyers has had considerable experience in assisting our clients in the negotiation and drafting of employment contracts and expatriate agreements. We have helped a large number of executives to ensure their rights are protected with respect to confidentiality clauses, bonus plans and restraint of trade covenants. The trend in modern employment law is to re-emphasise the contract as being the source of rights for the executive. The need for an executive to receive legal advice on contractual issues has therefore never been greater. It is this need that Executive Rights Employment Lawyers seeks to meet. Executive Rights Employment Lawyers has acted for many Australian expatriates in diverse international locations, all of whom have received prompt advice from an experienced team with respect to the employment law issues they have faced. The benefits we offer are that we have experience, expertise and commitment in the provision of legal services to Australian executives in the field of employment law and our client-centered approach to legal practice. We are committed to the provision of cost-effective legal services. We will not recommend the commencement of legal proceedings unless it is in the clear interests of the client to do so. “I have agreed, finalised and signed the contract today. I took your key points and had them make the necessary changes in the contract which were acceptable to me, such as the removal of the non-compete restriction clause.